You are Here: Home > How Can You Make Sport Enjoyable? Millions of people worldwide absolutely live for sports, but if you’re not among this number, how do you stop yourself from feeling left out? 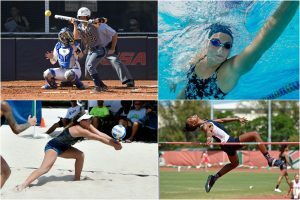 In this article, we’re going to run you through three tips to help you get more involved in a sport. So the famous Nike slogan goes. Unless you’re old or infirm, you really have no excuse not to get involved. Imagine in years to come, when you can no longer play, how much regret you might have about not lacing up your boots and running out there on to the pitch? Even if you’re unsure which sport you want to take up, try out as many as possible; you never know which one might be right for you. Why not just start by simply walking around your local town? For one, it costs absolutely nothing, and it’s effortless to include in your everyday routine. If you generally get the bus to work, why not just get off a couple of stops before you usually do? Instead of getting in your car and driving to the shop around the corner, walk it instead. Over time, you can gradually increase distance and speed, and once you find yourself getting fitter, you can try taking up a more involved and challenging sport. Sport is all about having fun and socialising, and the reason lots of people give up on going to the gym is that it can be an isolated exercise. To stop you quitting before you really get going, invite a friend with you on your fitness adventure. You’ll find yourselves pushing each other along and challenging yourselves more than you would on your own. So there you go, there’s now no excuse for you not to be a sports-mad fan!